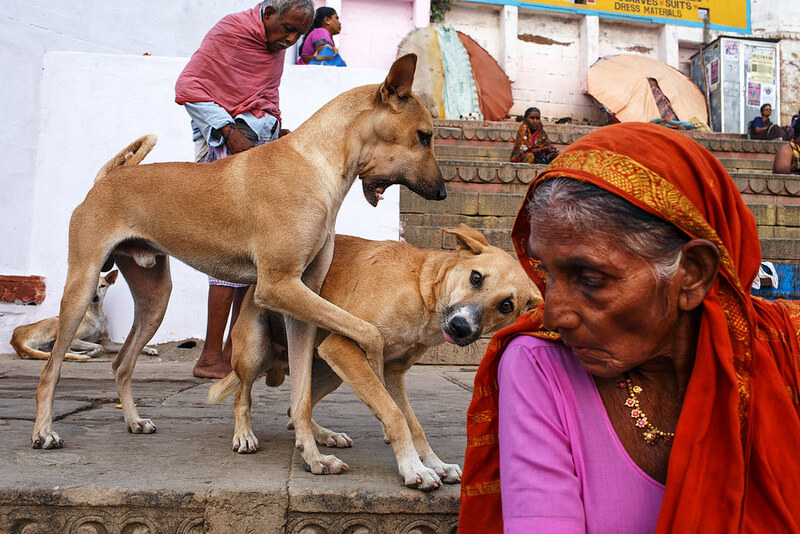 My flickr contact Maciej Dakowicz caught this great image of two dogs in Varanasi, India with his Canon 6D. He regularly composes images with a person in the close foreground bleeding off the edge of the frame and other figures scattered in the background (there’s a third dog behind the dominant one here). Many of his compositions have this kind of configuration which takes quite a bit of timing and planning to make work out. He makes it look informal and easy but it rarely is.